Let Our Gopher Find It For Ya! *Your search is always 100% confidential. Millions of people have already used this advanced technology to answer their own single urgent question... "Whose number is this?" Don't remain in the dark when you can track down the information you need right now. And best of all, your search is DISCREET! No one. Not me, not your lover, not your boss, and especially not the person's number you are looking up will ever know that you are searching their number. It's as safe and private as any normal caller id. So what exactly is WhosCallin.me??? WhosCallin.Me is an advanced caller id service that grants you access to hundreds of millions of records about landline, mobile, cell phone, and unlisted phone numbers. It's your secret weapon that offers you access to data which ordinary people like you and I previously didn't even know existed. If you've ever asked " Whose phone number is this " then you're in the right place. Your Reverse Phone Lookup at WhosCallin.Me will include: the caller's name, current address, carrier, and often, an actual map of the phone source location. All that from a single phone number! Join me and the millions of satisfied customers who have safely and discreetly used this technology to find out the identity of that mystery caller, instantly. Enter your first search in the box above. 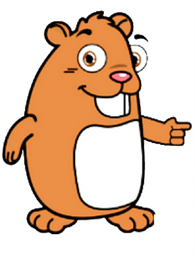 Step 1: Enter your phone number in the search box above and click 'Gopher It'. Fast and easy. You'll instantly know who's calling you. That's all there is to it! Why use WhosCallin.me instead of other Reverse Directories? 1. When you use WhosCallin.me you are taking advantage of the internet's largest and most in-depth reverse search database to find the information you are looking for. Our system returns detailed information on unlisted, land line, as well as cell phone numbers (which are not in the public record). 2. Whoscallin.me makes sure that you are getting the best deal available by searching all the major databases, even the smaller less known ones, to point you in the right direction. Often you will find full information reports for less than the price of a cup of coffee.